In this 6-story anthology collection, Batman faces new villains and old ones in a time-line after Batman Begins. 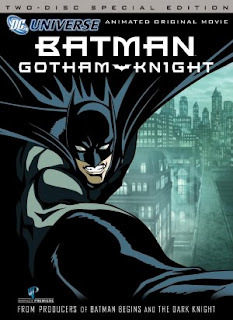 In "Have I Got A Story For You", 3 kids tell wildly different stories about Batman during a fight through Gotham. "Crossfire" focuses on two policemen who end up getting in the middle of a crime battle. "Field Test" has Lucius Fox creating a new technology for Batman, but is it too powerful? "In Darkness Dwells" features Killer Croc and Scarecrow, who have kidnapped a priest. "Working Through Pain" goes through flashbacks of Bruce Wayne's training while Batman finds his way through the sewers. Finally, "Deadshot" focuses on the titular sniper, who has a new target in Gotham.